In the searing heat of the afternoon, I slowly pull my arrow back toward my ear. The muscles in my arm are tense and shaking from the tautness of the string. The tribesman looks at me, confused, and shakes his head. He mimes the proper form. I adjust my stance and glance back with raised eyebrows, waiting for his approval. Without a common language, all we can do is exchange charades, smiles and puzzled sound effects. I shoot. I miss the target and my arrow sails into the bushes. The tribesman laughs and hands me another arrow. I start again. 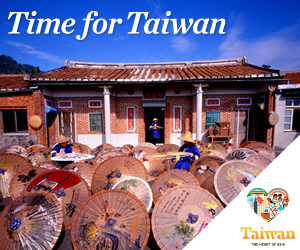 Taiwan is home to 14 different aboriginal tribes. The Amis, who are spread across Taiwan’s mountains and eastern coastal areas, is the largest, with roughly 200,000 members. 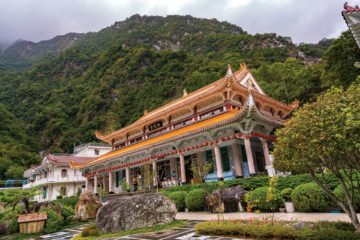 By contrast, the Thao tribe of Sun Moon Lake is the smallest recognized tribe at just 600 members. 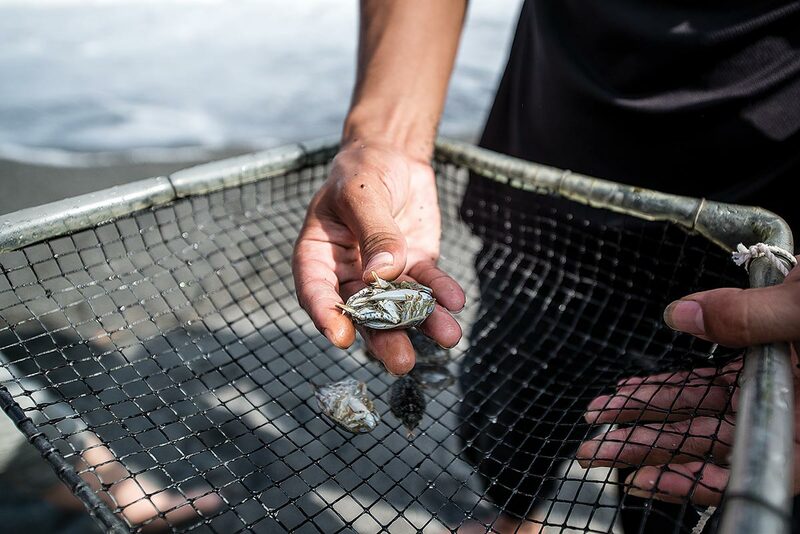 Our Amis guide shows us how to catch crabs in Taiwan. The overwhelming majority of Taiwan’s inhabitants are of Han Chinese descent, and aboriginal people only account for about two percent of the island’s population. As with aboriginals the world over, Taiwan’s tribespeople have struggled to maintain their practices and traditions. 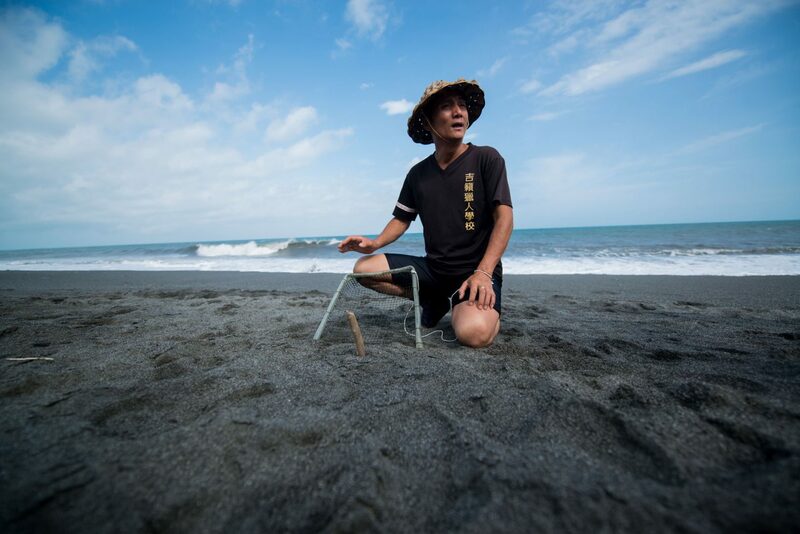 Not far from Hualien, the Amis have found a way to keep alive their ancient wisdom by providing visitors with a crash course in tribal rituals and lifestyles. High above our archery debacle, a decorated wooden platform on stilts housed a large group of Amis men and women, plus a handful of dogs. A shaggy, overgrown bamboo forest surrounded the homestead, and after we emptied our quivers, a couple of the tribesmen took us for a hike through the native plants to show us their medicinal properties—how to find clean drinking water in the bottom of a bamboo stalk, and how to chew a particular blade of grass into a coagulant paste. One way to catch crabs. From there, we attempted to make fire without matches, a full-body effort that involved gripping a short stalk of bamboo in both hands and rubbing it violently—and very patiently—against a longer stalk until you smelled smoke, at which point you blew so very tenderly on the area, encouraging the smoke to explode into its full potential. A short ride took us down to the ocean, where the tribe leader demonstrated his trusty low-tech method for catching crabs. (Uh, as in the animal.) He unveiled a cooler of cold, dead squid and handed us each a metal spear. We gingerly skewered each squid through its face, and then drove the stake into the sand right where the ocean met the shore, squid-end first. Fifteen minutes later we dodged the enormous crashing waves to scoop up handfuls of the wet sand that surrounded our stakes. The tribe leader shook the sand to reveal one, two and sometimes even three crabs. The Amis work hard—dividing up the many daily tasks and chores, and running a small handicrafts’ shop on the property—but their downtime is free and easy, and despite the language barrier, we enjoy each other’s company sitting around on the porch, playing with the dogs, noodling on the guitar and singing, and watching the men compare ceremonial knives and laughing into the wide open skies.